Safety starts here. 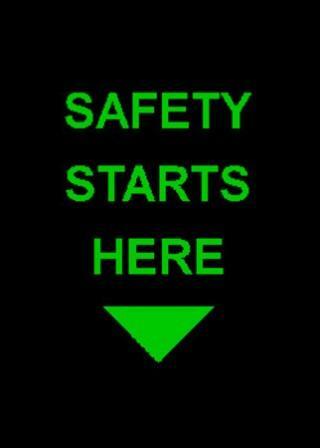 Where does safety start in your factory or place of business? Truly safety is everyone's business and as the manager or safety manager it's your job to provide a safe and comfortable work environment for all of your employees and visitors alike. With our multi-functional floor mats you can stop dirt and debris while improving safety awareness. 3x5 or 4x6 Nylon floor mats with the safety message printed in bright colors; Safety Starts Here tell everyone where safety begins. It begins with them and it begins the minute that they walk through the door. NT-194-SSH-305 3' x 5' Safety Starts Here UPS 8 lbs. 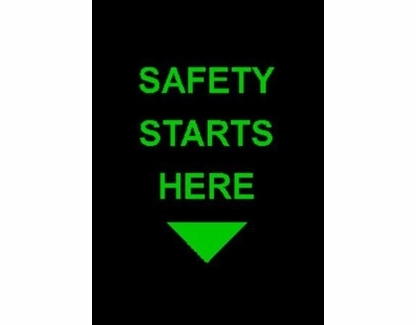 NT-194-SSH-406 4' x 6' Safety Starts Here UPS 12 lbs. Color: Black Mat with Bright Green Print.